Popular travel services rating website TripAdvisor has included four hotels in Pokhara in ´Nepal´s Top 10 Hotels´ list. 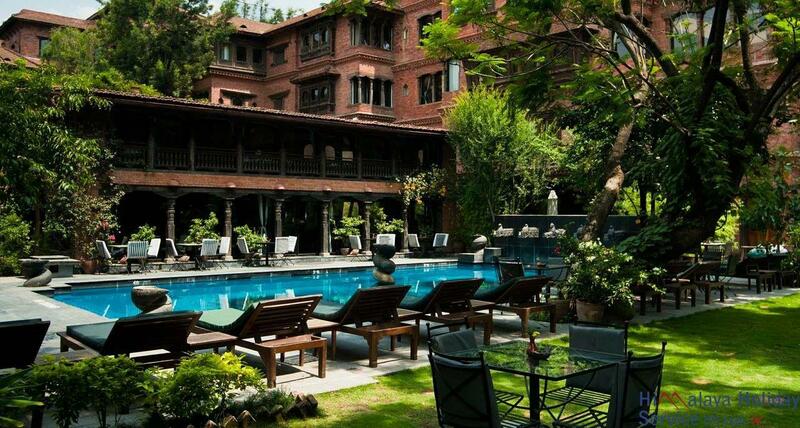 Remaining six hotels in the list are from Kathmandu. 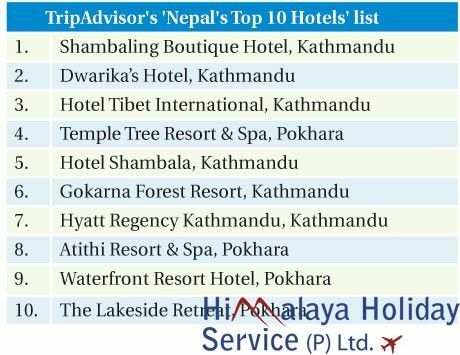 Similarly, Temple Tree Resort and Spa of Pokhara is in the fourth position, Hotel Shambala of Kathmandu in the fifth, Gokarna Forest Resort in the sixth and Hyatt Regency in the seventh position. Three Pokhara hotels — Athiti Resort and Spa, Waterfront Resort Nepal and The Lakeside Retreat — are in the eighth, ninth and tenth position.